I have to share with you my newest, most FAVE body bar soap!!! You guys…this stuff is super AWESOME! And, coupled with oiling in the shower, using this soap has transformed my shower experience! We can smudge our spaces + our homes + our bodies with the the smoke of a variety of sacred botanicals. Now, we can smudge in the shower! 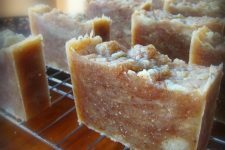 Use this handcrafted bar soap whenever you need to rid your body of negative energy. And turn your daily cleansing into a magical ceremonial ritual! 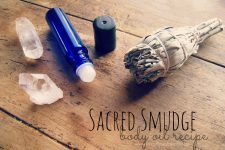 Using this Sacred Smudge soap is a wonderful way to restore positive, healing vibes with ease! Ingredients *It is super important to use organic ingredients when creating this soap. I have linked to the products I personally use as a reference. 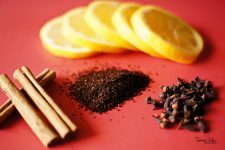 Begin by grinding the botanicals, producing a fine powder. 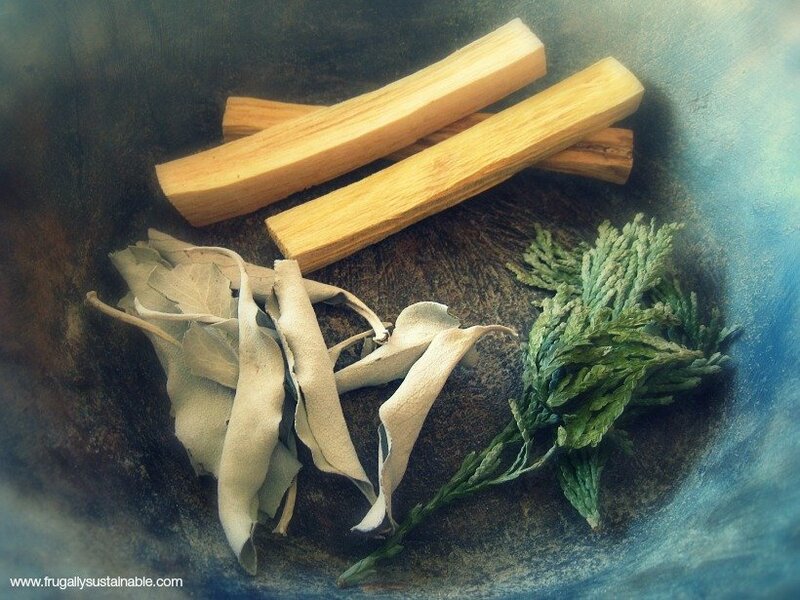 Measure palo santo (Simply use a knife to whittle off thin shavings if using Palo Santo Sticks, white sage, and cedar tips into electric grinder or mortar+ pestle — grind until powdered. Set powdered botanicals to the side. Measure the oils – by weight – and then place in a crock pot — or large stock pot strictly devoted to soap-making (set over the stove) — to melt on low heat. Once melted, add the lye/water mixture to the oils in the crock pot — or stock pot — and stir. Note: Any equipment the lye touches needs to be neutralized in a mixture of white vinegar, soap, and water. Once the mixture is pudding-like, add the powdered botanicals and stir well to combine. Cover the crock pot/stock pot and “cook” the soap, on low heat, for approximately 1 hour. Once the soap is done “cooking” remove from heat allow to cool on the counter for 3-5 minutes before adding the essential oils (if using). 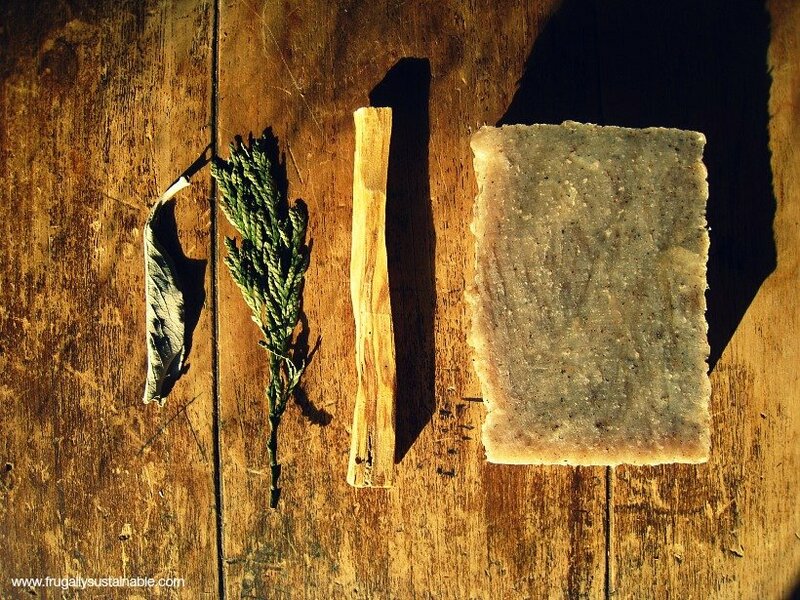 ***Because this is a hot processed soap…these bars are ready to use 24 hours after cutting. This is really cool! I just discovered your blog today, I love it! You should add pinterest buttons to your images to make it easier for others to pin them… Thanks! 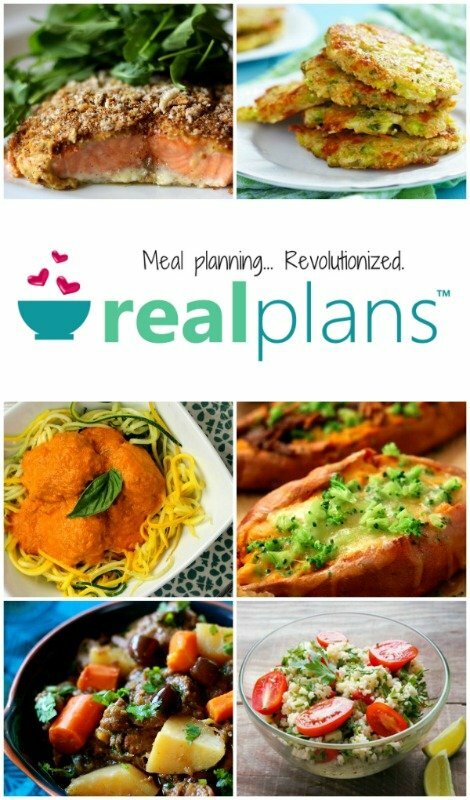 Could I just use something like organic olive oil and organic coconut oil? And use powdered white sage and sage essential oil? Perhaps with lavender too?